KiteSurfing Sri Lanka provides the most competent kitesurfing courses and training in Sri Lanka, with IKO certified coaches, latest equipment and safety gear backed by lots of experience, ensuring that you will learn how to kitesurf efficiently, safely and enjoyably! Kalpitiya is blessed with a flat water lagoon that is perfect for beginners and advanced riders to kite surf, with several excellent locations for lessons. Kiteboarding are offered in many languages – English, French, Spanish, German, Italian, Russian and Sinhalese. We provide quality lessons, and you are rest assured that you are in capable hands. A typical day has 5 hours of training, divided into a morning session of 3 hours and an afternoon session of 2 hours. We offer standard packages and tailor made packages, to suit all levels, budgets, requirements and preferences. 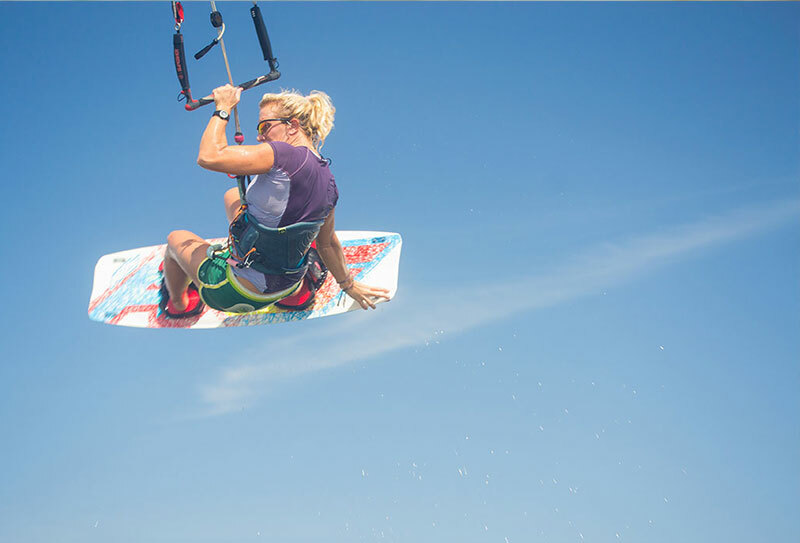 Our instructors are International Kiteboarding Organization (IKO) certified. 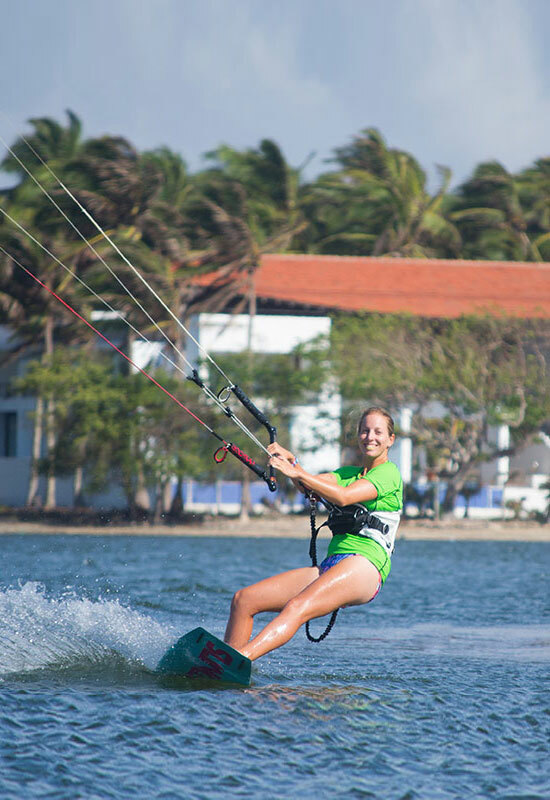 They are well trained to teach you everything you need to know about kitesurfing, no matter whether you are a skilled kite surfer or a novice.On successful completion of the lessons, students get awarded an IKO Kiteboarder Card, enabling them to rent kitesurfing gear from anywhere in the world. 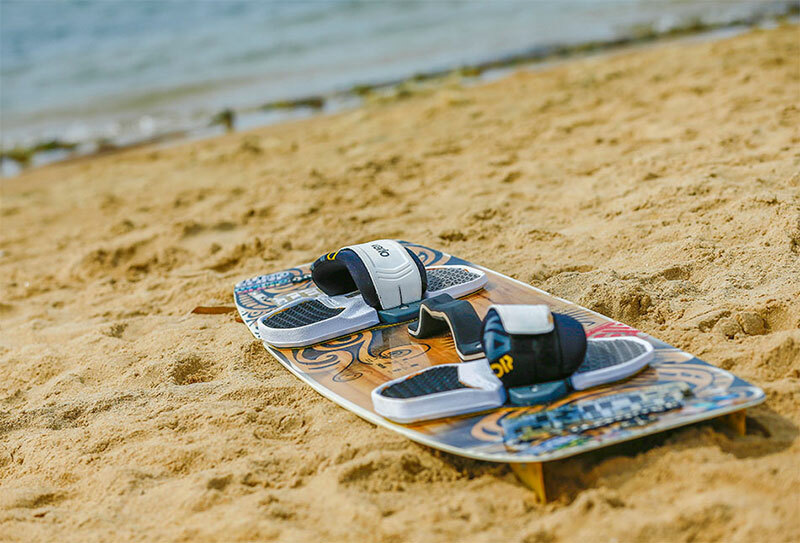 Enjoy recognition from the international kiteboarding body, and experience the thrill of this exciting sport in paradise, when you opt for lessons in Sri Lanka from us. Get a taste of kite flying and see what its all about. Learn the wind window, fly a foil kite and learn how to control a bar flown kite. once you have shown competency in body dragging upwind it’s time to start riding a board! Learn the water start procedure, board and edge control and speed control and stopping skills. time to master your kite and board control for safe and upwind riding and work on your turning skills. Organisation standards from zero levelletting you to become confident kitesurfer in a safest and fastest way possible. Work on any skill you need to from edge control and upwind riding to your first jump or roll. All lessons are per hour.The more hours you do the cheaper the lessons become.A typical day would consist of approximately 4-6 hours of lesson.You can decide this with your instructor.All lessons include equipment and Transport.